Did the New York Times Break Connecticut Law in Disclosing Trump’s Tax Return? The New York Times has a widely shared piece this morning, disclosing that Donald Trump reported a nearly $916 million loss on his income taxes in 1995 – a financial drubbing that The Times said could have allowed him to wipe out any income-tax liability for 18 years. Partisans on both sides are engaged in typical partisan hysteria, and some are wondering on social media: Is this sort of reporting legal? 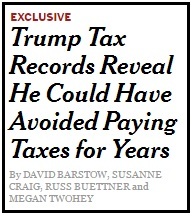 The story included copies of Trump’s state tax returns from New York, New Jersey and Connecticut. Most people in my profession have salivated over the thought of gaining access to tax filings for those whose background we’re investigating. But personal tax returns naturally are confidential, and the Department of Revenue Services would promptly laugh at us if we asked to see them. So was The Times on shaky legal ground in publishing Trump’s Connecticut Non-Resident Tax Return? Laws are often open to interpretation, but the answer is probably not. Yes there are state laws that provide penalties for disclosing tax information; no, those laws probably don’t apply to The Times. But if an anonymous tipster broke the law in leaking the records, is The Times still on the hook for publishing them? Again, probably not – although lawyers for Trump have threatened legal action. In 2001, the U.S. Supreme Court considered a case in which a Pennsylvania radio station broadcast a recording of an illegally intercepted cell phone call between union officials during a contentious contract negotiation. The union officials sued, but the court sided with the radio station, ruling that journalists cannot be held liable for publishing illegally obtained information related to legitimate matters of public concern, so long as the journalists did not participate in illegally obtaining the information. The heated debate over the propriety and relevance of The Times’ story will likely go on. Just perhaps not in a court of law. 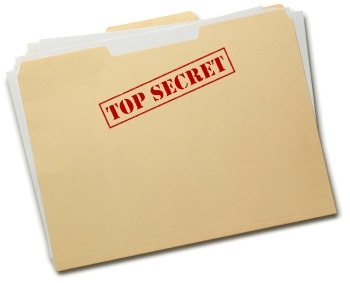 I recently obtained an internal email in which a lawyer for a public agency laid out the agency’s strategy for responding to a request for records under the Freedom of Information Act. Step One was identifying the records the agency was willing to release. Step Two was identifying the records the agency had no intention of releasing. And then Step Three, almost as an afterthought, was determining whether there was actually an exception under the Freedom of Information Act that would provide a legal basis for keeping the withheld documents secret from the public. “As we discussed we can always withhold a document even if there is no exception,” the lawyer wrote, with the understanding that the agency might have to concoct a justification for the illegal act if the requester was savvy enough to pursue an appeal to the Freedom of Information Commission. It wasn’t the first such email I had been made privy to, and it reminded me of the need for vigilance in Freedom of Information matters and the importance of constantly reminding the public servants who work for us that they do, in fact, work for us. They’re paid by us, they’re sworn to serve us. And with rare exceptions, all of the paperwork and data they produce and collect while on our payroll belongs to us, and should be provided to us without a fight. Joe Bergantino, executive director of the New England Center for Investigative Reporting and a long-time Boston television reporter, was detained in Russia Thursday while conducting a training session for fellow journalists, according to a release from the New England First Amendment Center. Bergantino and Randy Covington of the University of South Carolina were leading a workshop with Russian journalists when authorities interrupted the session and took the two men away, the release states, citing Beth Daley, a reporter for NECIR who has spoken with Bergantino. Daley said the men were accused of “teaching an educational workshop illegally because they were using the wrong visas,” according to the release. The men were then taken to a Russian court and ordered to halt the workshop and leave the country. 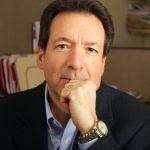 Bergantino, a former reporter for WBZ-TV and ABC News, co-founded the non-profit New England Center for Investigative Reporting in 2009. The arrest affidavit detailing the criminal case against Southington teenager Eric Morelli, who unwittingly caused a fatal fire by tossing firecrackers at a friend’s bedroom window, was ordered sealed three different times in the last month and half, until a Superior Court judge lifted the secrecy order late last week after acknowledging there was no good reason to keep the document under wraps. This happens too o ften, despite a legal mandate that favors openness in the courts, and clear rules establishing the hurdles that must be cleared and the process that must be followed when judges take what should be the extraordinary step of shutting off public access. So as a public service, The Scoop would like to publicly remind the state’s judges, prosecutors and defense attorneys of their obligations under the Connecticut Practice Book when seeking to seal arrest warrants and other court documents. 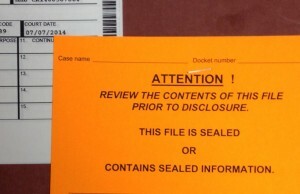 That right, of course, is not absolute – as indicated by the phrase “Except as otherwise provided by law” – and there are various reasons why at least portions of a court document may legally be sealed, such as to protect witnesses or preserve an ongoing criminal investigation that would truly be jeopardized if certain details became publicly known. There are no transcripts or memoranda in Eric Morelli’s file and veteran criminal court reporters will tell you that in practice, there is little resembling the formality and gravity envisioned by the Practice Book rules. 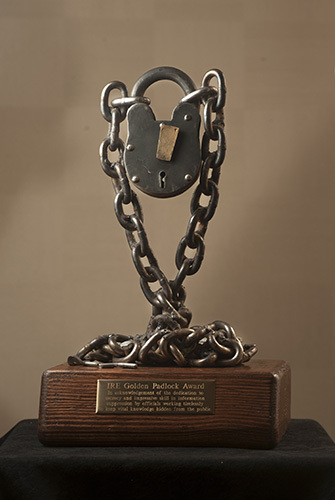 In the Morelli case, the initial seal was requested by the prosecutor in what sometimes seems like an automatic action in higher-profile cases. Such requests are rarely rejected by judges. The last extension to the seal order was requested by Morelli’s defense attorney, who said he feared pre-trial publicity could poison a jury pool and that details in the warrant might be embarrassing to those involved. Defense attorneys are duty-bound to promote their clients’ interests, but seasoned lawyers certainly know those are almost never valid reasons for keeping an arrest warrant secret. Nevertheless, some judges apply an inappropriately low level of scrutiny to such requests. And as in the Morelli case, they often are overturned only after intervention by a newspaper lawyer. That’s not how it’s supposed to be. So in this, the 223rd year of the Bill of Rights, I offer a modest proposal that the state’s criminal bar and judiciary give Practice Book Section 42-49A a fresh read and recommit to the transparency that has been a hallmark of a reputable judicial branch for centuries. Danbury State’s Attorney Stephen J. Sedensky III Wednesday formally abandoned his argument that state law gave him the authority to withhold recordings of 911 calls made during the Sandy Hook Elementary School shooting, ending a nearly yearlong battle that highlighted tensions between transparency and privacy. The Freedom of Information Commission had ordered the tapes released, and they were made public a week ago after a judge ruled he would not keep them secret pending an appeal by Sedensky of the commission’s ruling. Although Sedensky could have pursued the legal arguments even after the tapes were released, he dropped the appeal Wednesday, submitting a one-page form to the court declaring that he was unilaterally withdrawing the suit. After the Associated Press filed a Freedom of Information Act request for tapes of the 911 calls, Sedensky ordered Newtown police not to release them. Although such tapes are routinely provided, Sedensky argued to the Freedom of Information Commission that the tapes were legally exempt from disclosure because their release would harm a prospective law-enforcement action and because they contained confidential evidence of child abuse and were the equivalent of signed witness statements. The tapes became a raw battleground in the emotional aftermath of the mass shooting, with some family members of those killed urging that the recordings never be made public and some transparency advocates saying prolonged efforts to keep them secret had merely fed conspiracy theorists and exacerbated the families’ anxiety over their release. Prescott wrote that media attention following release of the tapes would probably be “a searing reminder of the horror and pain of that awful day.” But he said access to the tapes would also allow the public to evaluate the response by police. “Delaying the release of the audio recordings, particularly where the legal justification to keep them confidential is lacking, only serves to fuel speculation about and undermine confidence in our law enforcement officials,” he wrote. The tapes revealed the terror inside the school in the moments after the shooting began and the steely resolve of several staff members as they alerted police. Officers arrived quickly, although five minutes passed before the first entered the building. Sedensky said that with initial reports of multiple shooters, the actions of the earliest responders was appropriate. The folks who run the state university and college system have decided to reward top performers by taking more than half a million dollars in taxpayer funds and distributing it as merit raises to some or all of 279 eligible managers and administrators. And as my colleague Kathy Megan reported, education officials are declining, for now at least, to tell the public which of the public’s employees have been awarded additional chunks of the public’s money. In fact, they say, it would violate state law to do so. That assertion has not been tested by the Freedom of Information Commission or the courts. But it is the latest strange outcome of a strange series of laws that have kept taxpayers in the dark about teacher evaluations for nearly 30 years. Remember before 1984, when hordes of parents would crowd into Main Offices across the state, poring over every 2nd Grade teachers’ evals before demanding that their child’s schedule be customized accordingly? This, presumably, was intended to stem the epidemic of parents engaging in principal-shopping and librarian-shopping and assistant-superintendent-shopping, as all of their performance evaluations were placed off-limits as well. The bottom line of that strangely expansive language is that in a state with more than 51,000 certified public-school educators, the people of Connecticut are entitled to review the performance of exactly 166 of them. The 1984 law covered only K-12 schools. But that didn’t last. Five years later, professors in the state’s higher education system decided they’d like the same sort of confidentiality enjoyed by their elementary and high school colleagues. So a nearly identically worded statute was put on the books blocking public access to performance records for the faculty and professional staff at UConn, the state university system and the state’s technical colleges. It is unlikely that law was passed to prevent students from “professor-shopping” and trying to secure a spot with the best teachers, since that is exactly what students do when registering for classes in college. In the current controversy, the state will ultimately reveal which employees received merit raises and in what amounts; at worst, that information will be deducible once new paychecks – which are public records – start going out. But if you were curious, for example, about what any particular employee did to earn, say, the maximum merit increase, then sorry – it’s the official policy of the state of Connecticut that taxpayers have no business asking. The old adage that watching laws being made is like watching sausage being made was on display Wednesday during a 2½-hour meeting of the state’s Task Force on Victim Privacy and the Public’s Right to Know, at which frustrated members found themselves struggling with parliamentary bureaucracy and entrenched disagreements. Half-way through the meeting, after a lengthy and complicated series of motions and amendments, Quinnipiac University law professor William Dunlap tried to suggest a way to move toward a vote on a proposal by state Victims Advocate Garvin Ambrose. “Once we dispose of the Storey amendment, then Ms. Mozdzer-Gil’s amendment is entirely in order, because it’s an amendment to your original motion, as amended to conform with Sen. Fasano’s proposal,” he said. But by then, Ambrose had given up. But it wasn’t quite so easy. Instead, the panel spent another two minutes discussing whether Ambrose could in fact unilaterally withdraw his motion or whether the full task force had to vote on whether or not the full task force could stop considering the issue. The task force, which will make recommendations to the legislature, was created during the last legislative session, following the mass shooting at Sandy Hook Elementary School and fears that records related to victims and witnesses would be released publicly. The same legislation that created the task force also temporarily amended the state’s Freedom of Information Act to exclude from mandatory disclosure “the identity of minor witnesses” in records created by police during criminal investigations. State Sen. Leonard Fasano, a member of the task force, said at an earlier meeting that that language was added at the request of Bridgeport lawmakers in response to the 1999 murder of Leroy “B.J.” Brown, an 8-year-old city boy who witnessed a shooting and was killed before he could testify. The boy’s name came out as part of the criminal trial, not as a result of a Freedom of Information Act request, and the recent change in the law would have no impact on a similar scenario. But it has become something of a line in the sand between privacy advocates and transparency advocates on the task force. Transparency advocates say existing law already allows police to withhold the names of witnesses of any age who might face intimidation or threats. Privacy advocates say minor witnesses and accusers deserve special protection and a presumption that their identities should be confidential, just as juvenile defendants are afforded special protections. During Wednesday’s meeting, those points were made over and over. As the gathering neared the one hour and 45 minute mark, co-chairman Don DeCesare’s patience was wearing thin, as illustrated in the video below, from CT-N. DeCesare said the group was “bunkered in” and seemingly unable to move forward. Forty-five minutes later, after a discussion of whether or not they had to take a vote on whether to take a vote, the deeply divided panel did in fact call the roll on a proposal to restrict access to the identify of witnesses under age 13 – but to make that information releasable once the witnesses turn 18. The vote: Seven in favor. Seven opposed. The 17-member Task Force on Victim Privacy and the Public’s Right to Know is typically a cordial bunch, despite having strong voices at polar opposites on the issues. Garvin G. Ambrose, the state’s victim advocate, for example, evaluates victim privacy and media rights through a completely different lens than, say, James H. Smith, a former newspaper editor and now executive director of the Connecticut Council on Freedom of Information. And Chief Public Defender Susan O. Storey sits right next to Chief State’s Attorney Kevin T. Kane, leading to frequent side-by-side disagreements, but also to occasional friendly banter. But despite the normally civil tone, the task force, created in response to the Sandy Hook shootings, “can be a pressure cooker,” Smith said. And that below-the-surface tension made a rare and dramatic appearance during a marathon hearing Wednesday, when a frustrated DebraLee Hovey, a task force member and state representative from Newtown, laid into a transparency advocate who suggested that civil laws might already address the sort of harmful behavior members of the committee were looking to curtail. Rosanna Cavanagh, a lawyer and executive director of the New England First Amendment Coalition, told task force members that relatives of the Newtown victims had seemed to indicate through their attorney that they were primarily concerned about graphic details of the crime being misused by those on the fringe who were intent on causing pain to the families. She said those actions could run afoul of laws already on the books that punish the intentional infliction of emotional distress. That earned a sharp rebuke from Hovey, who assailed Cavanagh’s perspective – and lawyers in general. You can view the exchange below, and watch the entire hearing on CT-N.com, the website of the Connecticut Network. The task force was established by the legislature to “consider and make recommendations regarding the balance between victim privacy under the Freedom of Information Act and the public’s right to know.” Those recommendations are due Jan. 1. State prosecutors and transparency advocates will square off next week as the state Freedom of Information Commission considers a proposed order to release tapes of 911 calls made during the December shooting at Sandy Hook Elementary School in Newtown. In advance of the Sept. 25 hearing, Danbury States Attorney Stephen J. Sedensky III has filed a brief saying the proposed order misinterprets state law and, if upheld, could be a boon to criminals trying to figure out what evidence investigators have collected. Sedensky argues that the tapes are protected from disclosure by laws related to investigations of child abuse, and by exemptions to the state’s Freedom of Information Act covering records to be used in a future law-enforcement action. Kathleen K. Ross, a lawyer with the Freedom of Information Commission, rejected those arguments during a hearing in June. The full commission typically upholds the decisions of its hearing officers, but Sedensky will have an opportunity next Wednesday to try to persuade them to reject Ross’s proposed order. Either way, the matter may not be settled for a while. Whoever loses next Wednesday can appeal the commission’s order to Superior Court. Our full story on Sedensky’s legal brief is here. And the full document can be read below.